Featuring a garden, The Old Dairy is a holiday home situated in Chalbury. It provides free private parking. There is a dining area and a kitchen comp..
Sunnylands Farm is a holiday home with a garden, set in Chalbury. It provides free private parking. There is a dining area and a kitchen as well as a.. Situated 14 km from Bournemouth and 39 km from Southampton, The Chalet offers accommodation in Three Legged Cross. The property is 28 km from Salisbur..
Offering luxurious self catering accommodation, The Old Joinery is found in the peaceful village of Cherhill. Free parking is available on-site, and f.. 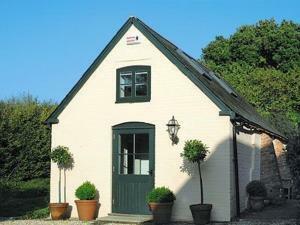 Featuring a barbecue, Michaelmas House Stables is a holiday home situated in Wimborne Minster. The unit is 13 km from Bournemouth. The kitchen has a ..
Edie'S Retreat is a holiday home set in Wimborne Minster in the Dorset Region and is 13 km from Bournemouth. The unit is 41 km from Southampton. Free ..
Set in Wimborne Minster, this holiday home features free WiFi. The unit is 12 km from Bournemouth. The kitchen has a dishwasher and an oven. A TV and..